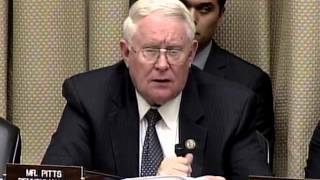 Cathy Castor (FL-14) and John Barrow (GA-12) are on the oversight committee for FERC that had all the FERC Commissioners testify 5 December 2013: the Subcommittee on Energy and Power of the Committee on Energy and Commerce. Shouldn’t they be interested in hearing about the Sabal Trail pipeline? Each time someone files a comment with FERC, the filer could also send it to that subcommittee or their member of it, or their own member of Congress or Senators. National energy policy; fossil energy; renewable energy; nuclear energy; nuclear facilities; the Department of Energy; the Nuclear Regulatory Commission; the Federal Energy Regulatory Commission; synthetic and alternative fuels; energy conservation; energy information; utility issues; interstate energy compacts; energy generation, marketing, reliability, transmission, siting, exploration, production, efficiency, cybersecurity, and ratemaking for all generated power; pipelines; the Clean Air Act and air emissions; all laws, programs, and government activities affecting energy matters, including all aspects of the above-referenced jurisdiction related to the Department of Homeland Security. Not only fossil energy, also renewable energy, such as solar and wind. Not only utility issues, but also interstate energy compacts. Not only pipelines, but also the Clean Air Act and air emissions.